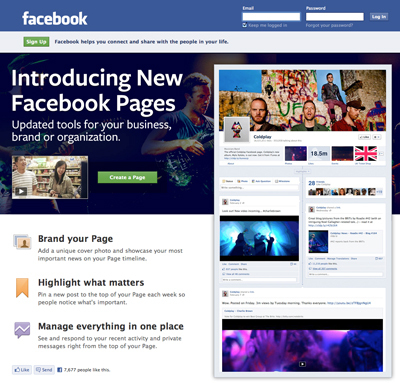 Click here to preview how your Facebook Page will look with the new Timeline design. You’ll want to make any adjustments, changes, etc. before March 30, 2012 when Timeline will be rolled out to all Facebook Pages. 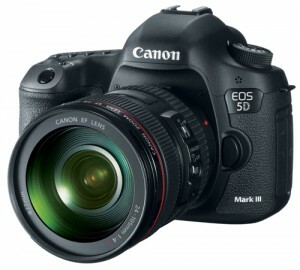 Get the skinny on the new Canon 5D Mark lll DSLR camera. What do you think about it? Will you be making the upgrade? Please share your thoughts below. Now those are two completely opposed statements about the same camera. Try replacing 1080p with 36Mpixel and 720 with 22Mpixel in the last statement and you’ll know why. So maybe Joe does not care too much for video and just wants the photo side of the 5D enhanced or he’s just not sure what he wants. I am very glad that Canon made the smart decision to leave the megapixel race for the 5D. Thanks Bruno for the question. There is always two side to every coin. As a Canon Pro for many years I feel it would be disingenuous for me to only tout Canon’s praises and not bring up some things that I feel “may” be possible shortcomings. On the megapixel front: Do I think 22MP is enough for 90% of the populous? Absolutely, I’ve done a few 60 foot by 30 foot road side billboards with a Canon 20D years back and they looks gorgeous. It’s all about final collateral material. “where or on what medium will the image be seen and at what distance” . As my co-host Trevor posed the question, will the 22MP of the Canon be the same quality megapixels as the 36MP seen on the Nikon side? This is a good question (yet to be seen), but if they are “as-good” I would have liked to have seen Canon step up their game and offer additional megapixels. With regard to final collateral material; if an image is shot “proper” edge to edge, as what will be depicted in final production, 22MP for an A4 or larger presentation is more then sufficient. 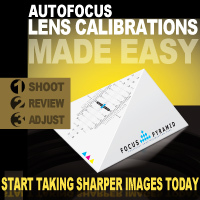 On the other hand, if one shot the image a bit more loosely and you or say an art director requires you to crop in say 50%, your amazing 22MP image immediately drops to a mere 11MP in resolution which may or may not be suitable for all production needs. In regards to 1080p / 720p and available frame rate options. I stand by my assertion that references 1080p may very well be OverKill in “most” circumstance. Example: 99% of us will not use a 5DmkX, D800, or alike for a Silver Screen production for countless reason but one of which is resolution. 1080p shot with a device that is currently only creating JPEG images does not give the films maker the latitude in post which say a Red Camera would shooting 4K RAW Video. The majority of our videos will be streamed over the Internet, placed on DVD or Blu-Ray and viewed on a monitor or TV. Only with the latter would 1080p possibly benefit the producer which I also indicated within last weeks show. My main point of contention was not too debate 720p over 1080p over 4K but was to recognize Canon’s lacked of frame rates at 720p [50, 60 only]. The addition of [ 23.976 “24”, 25, 30, … ] IMHO would provide us with better options in video creation. **** SIDE NOTE: This shortcoming could very well be fixed with a simply software update as provided with the 5DmkII after a continuous battering by the public to offer 24p in addition to 30p Canon provided 24p via a simply firmware update month later. Conclusion: As indicated within the show, the jury’s still out!